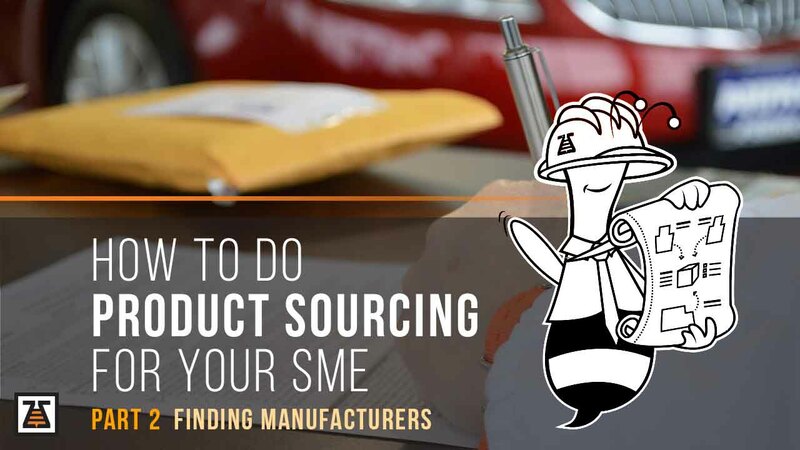 We kicked off the series “How to Source Products For Your SME” with Part 1, where we explained why it is important to understand the industry where you want to sell your products, as well as the product sourcing process as a whole. Today, in Part 2, we will discuss an important segment – finding manufacturers for the product that you want to source. After the initial industry research, now it is time to focus on finding manufacturers for the product that you want to source. In order to find the right product, you need to find the right manufacturer first. This is not an effortless task. You can’t just guess who is the manufacturer of the product. Yes, we are all aware of the big brands out there, but that doesn’t mean that we should stop our manufacturer research process there. You can always buy some of the products that you want to source and take notes. You can look at product packages, warranties, and manuals. The model and the serial number of the product have to be there. Also, there has to be an address of the manufacturer. But, there might be an easier way to find a manufacturer for your product. You can narrow down your search criteria and start looking for manufacturers online. Finding manufacturers for your product sourcing process online can be executed through platforms like Alibaba, TradeIndia, GlobalSources, Made-in-China etc. In most of the cases, you can find the right leads with just a direct approach on these platforms. But, on some of the platforms, you need to create requests where the manufacturers can apply. The product that you’re interested in, etc. The next thing you need to do is to contact the manufacturers. When you want to approach a manufacturer for product sourcing purposes, make sure that you present yourself transparently with your full company legal name. Then, ask if you can talk with the sales department of the company. Don’t get discouraged if they ask you to wait. You can always leave the message and the person responsible for sales will read it. When you get in touch with the sales team of the manufacturer, you need to clear out whether or not they can deliver the products directly to you or via a wholesaler. In practice, manufacturers don’t turn down a product sourcing deal. That’s why if they can’t deliver the product directly to you, they will recommend the best wholesaler for your and everyone will benefit from the deal. To have progressive growth, arguably you need a great product. However, for a great product, you need a stable and reliable supplier. Making a mistake at this point can be devastating for your business and reputation. With BizzBee Product Sourcing, you give us information about the product you want to source. And we will provide you with information of the right manufacturer. In the process, we will establish communication with many manufacturers. We also compare them based on several criteria and facilitate the selection process. You will significantly reduce the complexity and communication overhead from the process as a result.